The Visitor Center is open to the public everyday from 9:00 a.m. to 5:00 p.m. Public access to the center is currently through the North Gate only. A government I.D. will be required at the gate. The center was built with donated and borrowed funds totaling $4.5 million. 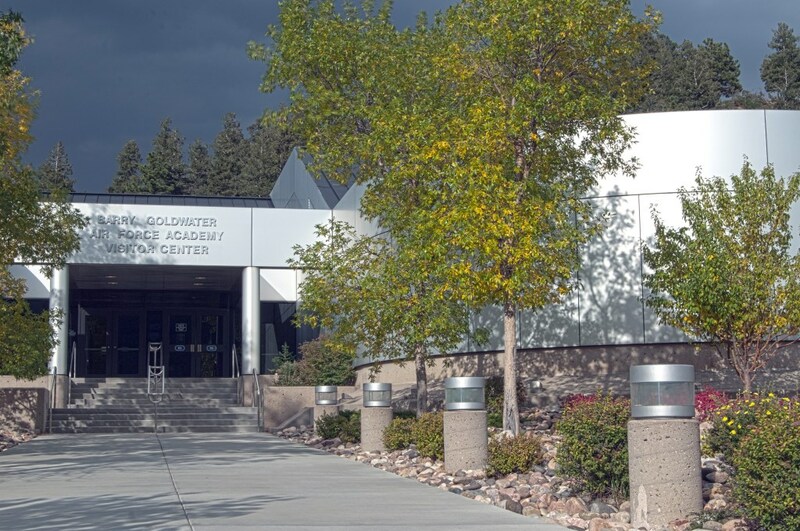 The private organizations which donated the building to the Air Force named it in honor of retired Arizona Senator Barry M. Goldwater, an avid supporter of the academy. The facility opened its doors in June 1986.